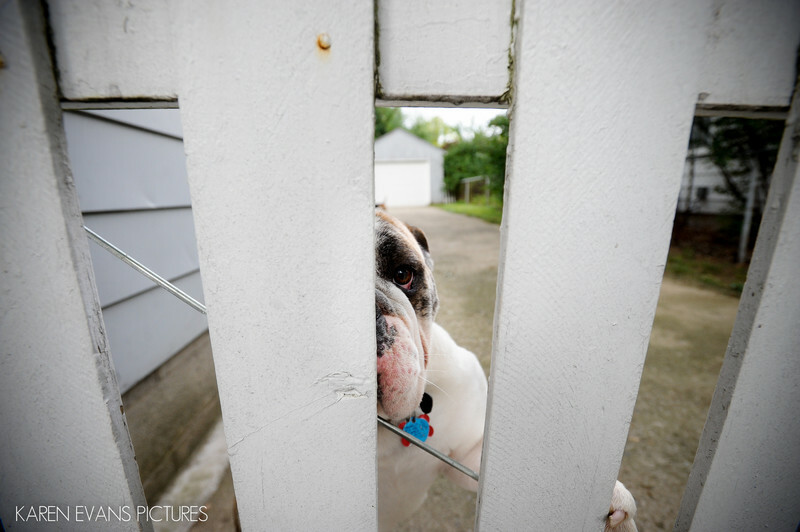 During our at-home portrait time with Michelle and Mike, I had time to walk around the house a bit to scout picture locations and caught the attention of their dog, who was giving me the stink eye through the picket fence. Dogs at weddings are fantastic. Well, dogs are fantastic generally!Keywords: at home (75).